BRYAN EATON/Staff photo. Newburyport Police and Fire Departments held their food drives on at Shaw's and Market Basket on Saturday. 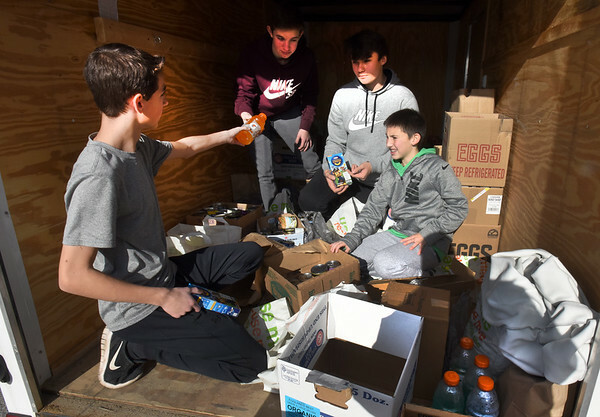 Sorting food donations for the police department's Fill-a-Cruiser at Shaw's are Newburyport High School students working on their community service committments are, from left, Ethan Duggan, 14, Max Ligols, 15, Nick Daly, 15, and Calvin Murray, 14.